Metatron in the Beginning and in the End of Days. 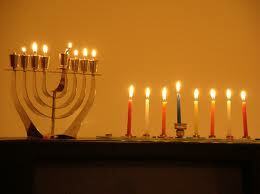 Out next Chanukah revelation concerns the archangel Metatron (MTTRVN) of numerical value 314. The sages, tzaddikim and Zohar all tell us he was originally Enoch (ChNVC), the 7th in the lineage of Adam. Zohar 43. Balak : 6. We can see from the following verses in the Torah that it was never stated that Enoch dies, only that he walked with God and was taken. Genesis 5:23-24 “All of Enoch’s days were 365 years. Enoch walked with God, and was no more, because God had taken him. These Zohar excerpts give it more color and speak of all the secrets that were revealed to Enoch and that subsequently were guarded by Mettatron and then revealed on a need-to-know basis. Zohar Bereshit 51 474. “We have also been told that Chanoch had a book, which originated from the same place as that of the generations of Adam. And this book contains the inner secrets of wisdom. He was taken from this earth to become a heavenly angel. 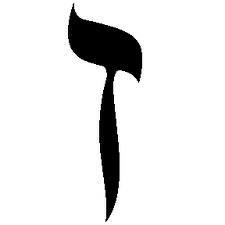 Thus, it is written: ‘And he was not; for Elohim took him’ (Beresheet 5:24). He is the youth, THAT IS, HE IS ALWAYS CALLED A YOUTH, as the verse states: ‘Train up (Heb. chanoch) a child in the way he should go’ (Mishlei 22:6), INDICATING THAT CHANOCH IS THE YOUTH BECAUSE HE BECAME MINISTERING LAD TO THE SHECHINAH. As we’ll get into in a moment, it is no coincidence that Enoch was the 7th in the line of Adam, or that he lived 365 years, with 365 being universally agreed as a reference to the solar year. Zohar 49. Ki Tetze : 28: 138. “It is so THAT METATRON IS SHADAI when the Holy One, blessed be He, descends TO BRIYAH to rule over the Tree of Knowledge of Good and Evil, good being Metatron and evil Samael, who is a devil, the king of demons. Metatron is an angel, the king of angels, but from the aspect of the Tree of Life the name Shadai is Yesod OF ATZILUT..” [the gateway to the uppermost world]. 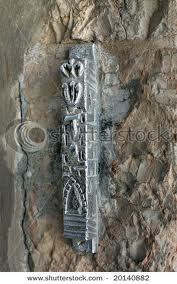 Shadai is the name of G-d (ShDY) found on all Mezuzot which the Jews place on their doorposts. It has the same numerical value as Metatron, 314, as guardian of the gates. We’ll reinforce the connection from the Zohar linking Enoch (Metatron) as governor ,if you will, of the 7 sefirot (Zeir Anpin/Malchut) and particularly as guardian of the entrance way through Yesod, but for an understanding of the deepest hidden secrets we need to turn to the Tikkune Zohar, chapter 22 of the 70 chapters revealing the 70 faces of Creation. 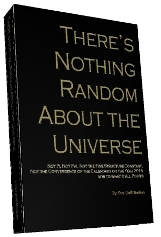 In The Genesis Prayer and Nothing is Random in the Universe we discuss in great depth the secrets of 42, Pi (314) and their connection to the Torah’s first verse and also the revelations of the advent of Moshiach in 5778, so we won’t go into it again here, other than to point out again that the number 9/(42-letter Name) = exactly 70 + 3.14159..(Pi). What we do want to reveal is that while the name Metatron has the numerical value of 314, this 42 letter name of Metatron has a total numerical value of 2198, or 7 x 314. And why is this significant? 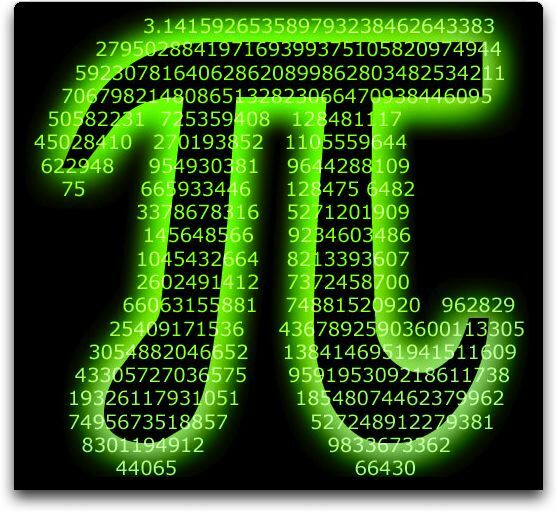 It’s not just because 314+ 42 = 358, the numerical value of Mashiach, of that the Torah has exactly 358 phrases of the numerical value 314, indelibly connecting Moshiach with Metatron, but because there are precisely 2198 letter Zayin(s) in the Torah and the numerical value of Zayin is 7. Keep in mind that this hidden chamber corresponds to the 7th millennium and the time of Moshiach when Binah Chamber will be open to us. Zohar Bereshit B 19:53. “The same can be found in the seven compartments of the lower land, which are all similar to the SEVEN COMPARTMENTS of the world above. And in all OF THE SEVEN COMPARTMENTS BELOW, there are ANGELS in the shape of humans,…” Not, just Metatron, but we’ll be writing about this shortly as well: how the angels have intervened at key points to keep us on track. A) Enoch was the 7th in the line of Adam: of which Noach was the 10th, an allusion to the completion of 10 sefirot/dimensions; Abraham was the 20th, an allusion to Keter (Esrim, 20); and Moses was the 26th, an allusion to the YHVH (26); so obviously placement is important and not random..
B) Enoch became Metatron of numerical value 314, and thus connected to Pi, which makes a line into a circle, which we know from Rav Ashlag’s work on the 10 Luminous Emanations is how the light enters and fills our universe. C) Metatron controls the 7 dimensions and gates from our would to the upper ones. We also know from Abraham, the Patriach in his Sefer Yetzirah, that there are 22 building blocks of the universe, namely the 22 Hebrew letters, 7 of which are called doubles and 7 of which connect us to the 7 planets, and that 22/7 = 3.14..
D) We know that both 314 and 42 are connected together to each other and that they connect us to Creation and that the 42-Letter Name, is like Metatron, our bridge between our world and the upper ones, namely Binah. E) We know that 314 and 42, and thus Metatron are connected to Moshiach, 358. F) We know that the name Metatron(MTtTtRVN) expands into 42 letters totaling 2198 or 314 x 7, and that there are 2198 letter Zayin(s) in the Torah and the numerical value of Zayin is 7, meaning the entire Torah was written (conceived) with Metatron in mind, and that there is probably a deeper hidden meaning to 2198 as well, behind the total gematria of the Torah letters being 21009826. G) Enoch’s (Metatron’s physical) life is connected to 365 years or days as in year, there may be a connection to the end-of-day and the advent of Moshiach that he is obviously connected with. Incidentally, 365 is 7 more than 358, an important point not to be overlooked. H) If 2198 were a year, it would be 2198 CE, or 5958, 42 years shy of the year 6000 HC, and the 7th millennium. Therefore since the 42 letter﻿ of Metatron including the kolel are 2198 + 42 = 2240, they are also equivalent to the year 6000 HC. So why are there 2 dates, 5778 and 6000 for the advent of Moshiach? Why indeed? The period between the two prophesied dates is 222 years? So let’s go back to the Zohar and see why there are two dates and why they are 222 years apart. We’ll give you another explanation gleaned from the Torah portion Miketz later in the week. 21. Trumah : 56. Verse 598. If you ask: Metatron serves in the Tabernacle above AND NOT MICHAEL? HE ANSWERS: The tabernacle is of Metatron and Michael the High Priest is the one who serves in the Tabernacle of Metatron, as the High Priest serves above in another Tabernacle that is concealed and not revealed, which is the secret of the World to Come, WHICH IS BINAH. There are two tabernacles. One is concealed, BINAH, and one is the Tabernacle of Metatron. There are two priests, MEANING THE ATTRIBUTES OF CHESED THAT IS CALLED ‘PRIEST’. 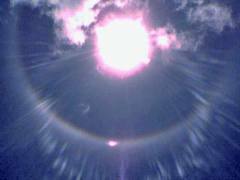 One is the primordial light, NAMELY CHESED OF ZEIR ANPIN, and one is Michael, the High Priest below. We know there are 2 Moshiachs (Bed David and Ben Joseph) so we understand that there are 2 Tabernacles to be reveled, one through Metatron in the year 6000 HC, as has been discussed, and the other through Michael, Archangel and protector of Israel, which according to prophecy will be in 5778, 70 years after Israel became a nation. Therefore 6000 years will be the full length of the Tree of Knowledge of Good and Evil. As for the 222 year differential we must first look to the name of the beast. Keep in mind that the Torah counts the time to the final redemption in jubilee years (50-year interval) and there are exactly 66.6 jubilee years from the reception of the 10 Commandments at Mt Sinai, until 5778 and 70.2 jubilee years from that date (2448) until 2198 CE. 702 is the gematria value of Shabbat, the 7th day, which is what the period of the final redemption is called. So what about the 222 years? In Zohar 44. Pinchas : 45. “The Chariot of Ezekiel“Verse 248. “When Ezekiel saw the Shechinah among the Klipot, THAT IS TO SAY, AMONG THE GARMENTS, he saw with her ten Sfirot, without any separation whatsoever, and these are the brain that is among all of them. He saw them within the earthly river K’var (Caf Bet Resh) , NAMELY, THE EARTHLY CHARIOT (RESH CAF BET) , NAMELY, THE LETTERS OF K’VAR REARRANGED) OF METATRON. So Metatron is the Chariot, as previously defined in the Zohar, and the value of chariot is 222, meaning Metatron will rule over the earthly plain another 222 years past the time of Moshiach Ben David in 5778. 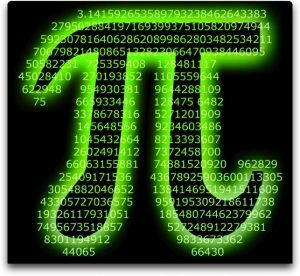 Take the 2000, (SHIN’AN THOUSANDS” ARE THE MISSING TWO THOUSANDS), then add the “attired in the Tet Tet (nine + nine = eighteen),” 18, and we get 2018. Then take the 2018 and add the NAMELY, THE EARTHLY CHARIOT (RESH CAF BET), the Chariots of Elohim, 222, and we get 2240, the year 6000 HC. 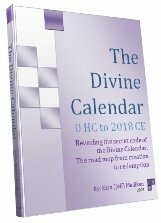 This date of 6000 HC is very significant as will be revealed in our next installment of Chanukah revelations about the 2 dates for the windows of the Tree-of-Life consciousness. Obviously whether you work towards Moshiach in 7 years time or in 229 years makes a big difference. Author Jeffrey MeilikenPosted on December 7, 2010 December 7, 2010 Categories RevelationsTags 10 sefirot, 1948, 2018, 2198, 222, 314, 358, 365, 365 years, 42, 42 42 letters, 42 letters, 42-letter name, 5778, 666, 7, 70, 70 years, 702, Book of Enoch, chariot, end of days, enoch, Ezekiel, final redemption, gematria, geula, jubilees year, kabbalah, messiah, Metatron, moshiach ben david, PI, Rabbi Shimon Bar Yochai, Shabbat, Shadai, Shechinah, the beast, tikkunei zohar, Yechezkel, zeir anpin, zohar16 Comments on Metatron in the Beginning and in the End of Days.